YES I'M GOING TO LANGKAWI IN JANUARY! super happy! it's kinda the first time that I travel with friends, not counting exchange programme in Sweden. In fact, I was shocked that mummy let me go. She wasn't very willing, but then she made the mistake of saying "go ask your father whether he allow" and erm. of course he allow la.. 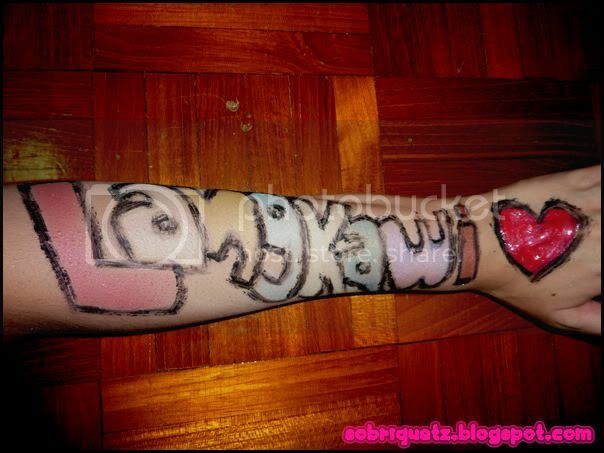 But anyway, why did I doodle on my arm like it's a canvas?! This was launched in late March in Singapore and it has been specially formulated to remove makeup effortlessly. 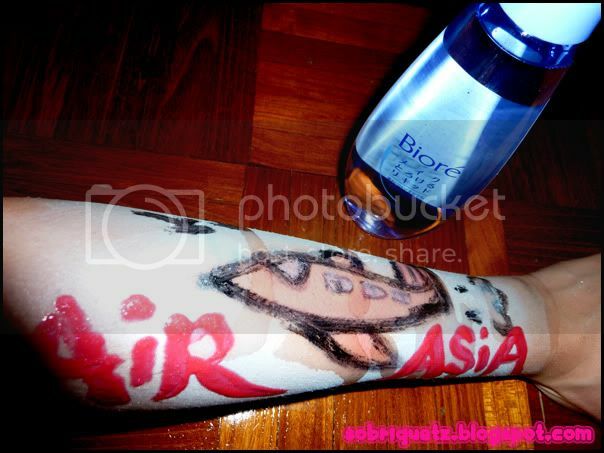 This is done by dissolving the makeup. No more vigorous rubbing to get rid of that stubborn mascara! It is a water-based formula which does not leave the skin feeling sticky and oily. To use: pour an appropriate amount onto your hands and massage into your dry face - there is no need to use cotton pads. Massage gently and rinse away with water. Review: When I first used it, it really reminded me of Shu Uemura's Cleansing Oil which I had used previously. However, it is not as oily as the cleansing oil - well, duh right, it is a water-based formula. However, do not expect it to be exactly like water. It is kind of denser than water, sort of an in between oil and water. It removes make up really easily but do take note that you have to massage it well to get rid of them. When I did not really rub at the bottom eyeliner area, it was barely removed at all! So gently massage in, and even the toughest mascara gets washed away. 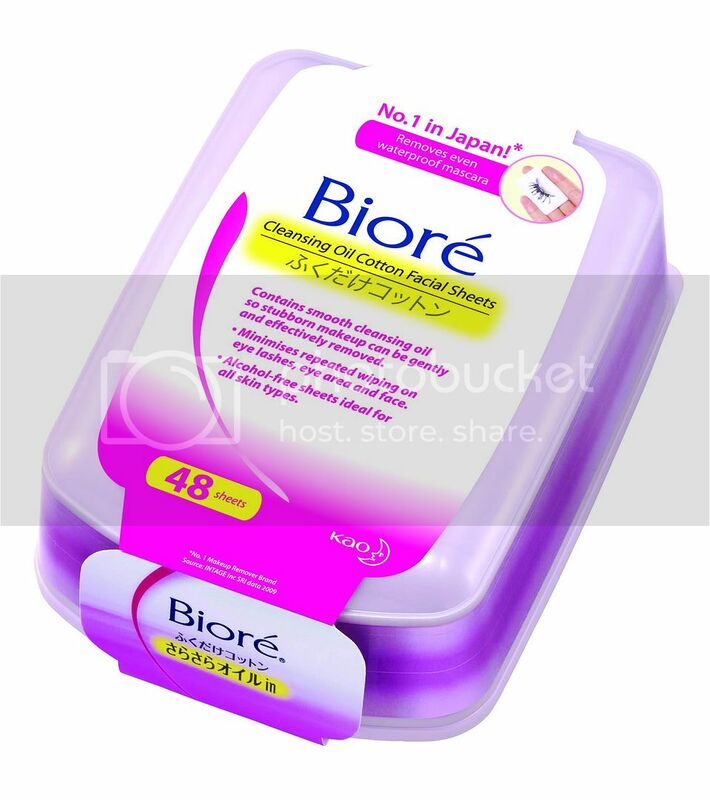 This is one of Singapore's best selling brand of makeup removal wipes - and it is easy to see why, it is just so convenient! It dissolves the makeup easily and removes even stubborn waterproof mascara. Despite its name, it does not leave an oily feel after that. It is alcohol-free and even helps to hydrate your skin due to moisturising agents present in the wipes. Review: It is really convenient and each wipe is really soaked with cleansing oil and moisturisers! Just one sheet is enough to get rid of all your makeup. It is really convenient to be placed in this box, it's like a tissue box holder! I'm definitely going to get this when I go overseas, they sell in packs of 10 as well (meaning without the box). 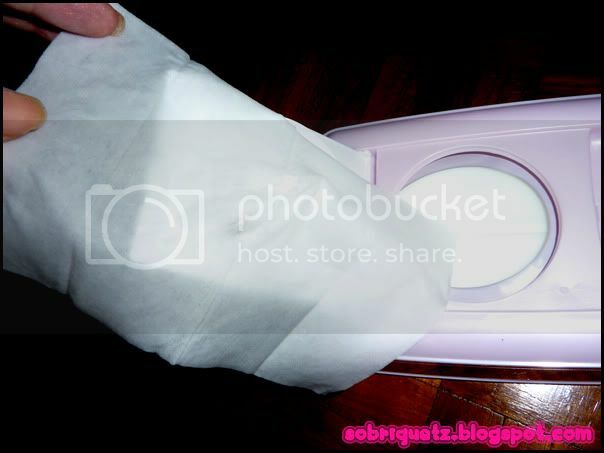 In that way, I don't have to bring bottle of makeup remover + cotton pads! Plus, with airline restrictions, you can't bring that much liquids on board anyway. 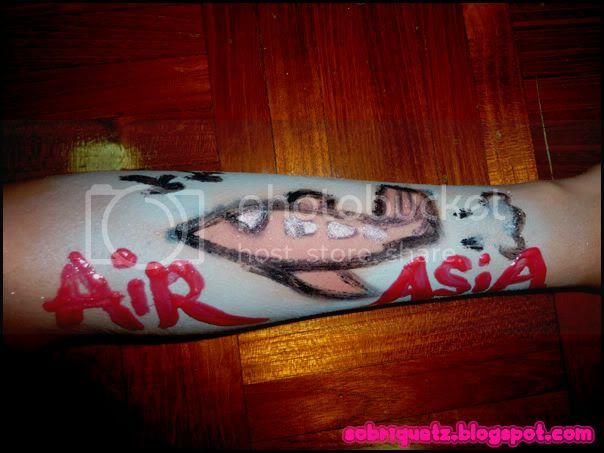 For some absurb reason, I couldn't upload the picture which was given to me, neither on photobucket or blogger. So I just grabbed this picture from some Ebay website. Did you know that Biore is one of Singapore and Japan's top makeup remover brand? And now, this last product is to remove make up around the eye and lip area. It has a two-layer micro-active cleansing formula to effectively remove waterproof eye and lip make up. But yet, it is gentle and has moisturising properties. 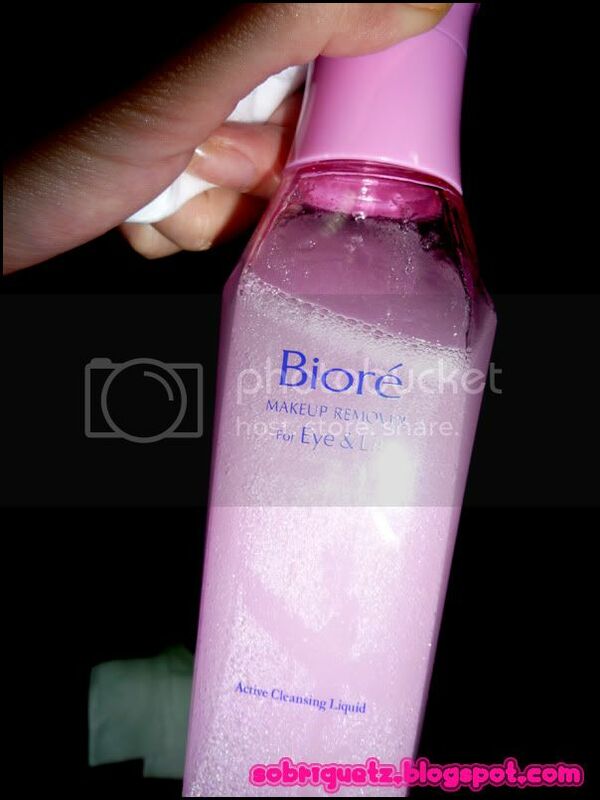 Review: Using this makeup remover did not cause me to lose any of my precious eyelashes! Sometimes I really hate using mascara (which is why I seldom use it nowadays) because it is difficult to remove and my eyelash always drops :( but with this, it is easily removed! I did have to rub it a few times, but at least, it was removed in the end, without any pain. 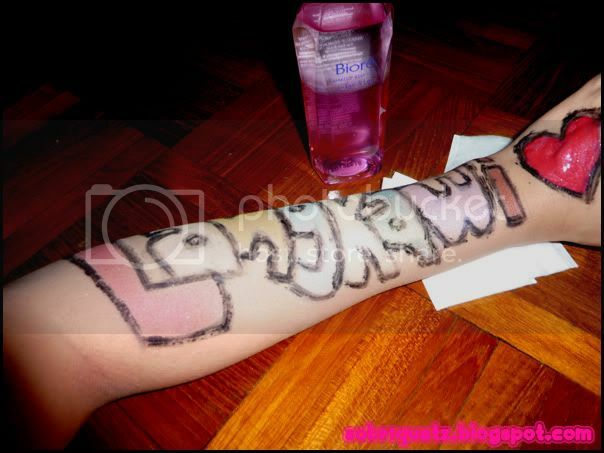 Instructions: Shake the bottle well and pour abit onto a cotton pad. Put it over closed eyelips and gently wipe it away. Now, it is time to see the 3 products in action! Can you see the droplets on my hand? 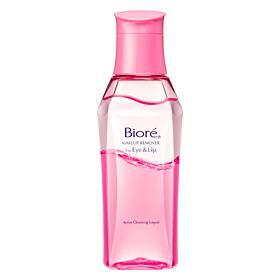 I put a few drops of Biore Hydra-Clear Makeup Remover on my hand and massaged it into my hand. You will get a big mess on your hand, but it's okay! It will be easily removed by water. 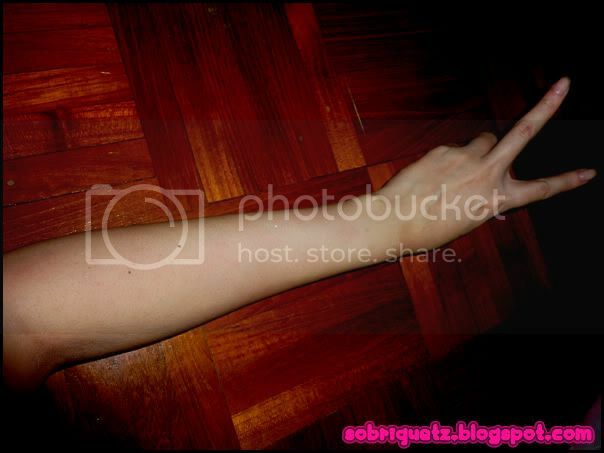 And in fact, it will not look as bad as my hand la... mine is like that because of excessive amount of make up used! I didn't even have to rub and it is miraculously washed off! 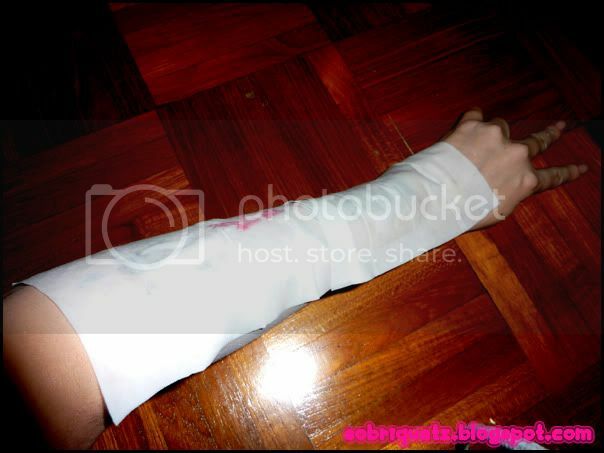 But of course I rubbed it in the end, and tadah, i have a clean arm once again! I will be going to a place with sand, sea and mountains! Ugh, the sand didn't come out too well eh, can't really see!! 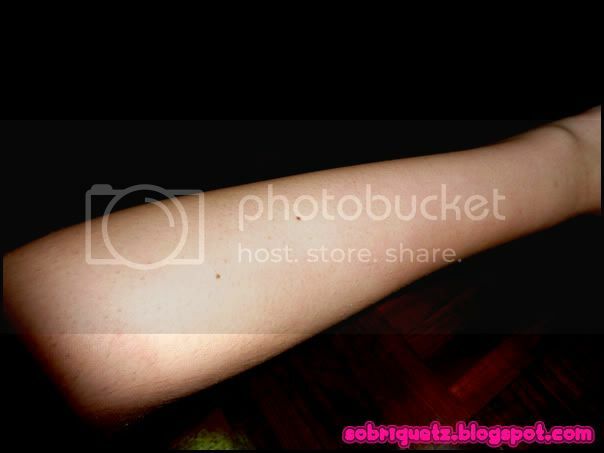 I used 2 pieces of Biore Cleansing Wipes and put it over my arm. Kind of wasteful actually because one wipe was all that was needed! Tadah! 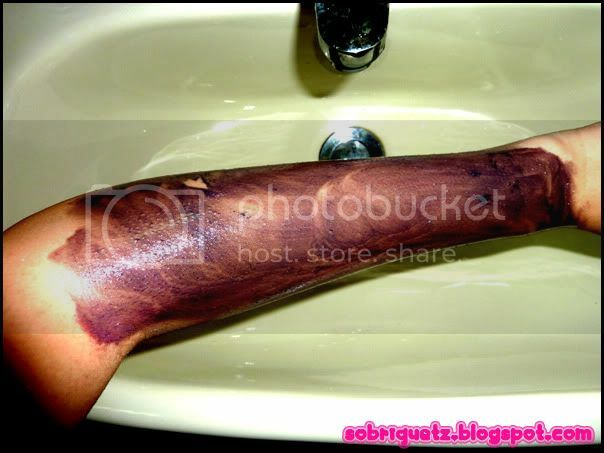 Clean arm again, with just one wipe used! In fact, this is so convenient that throughout the whole process when I was drawing on my arm, I kept using the wipe to clean my fingers! LANGKAWI!!! :D yayyyy! Super happy, despite having a big mess on my arm! and TADAH! 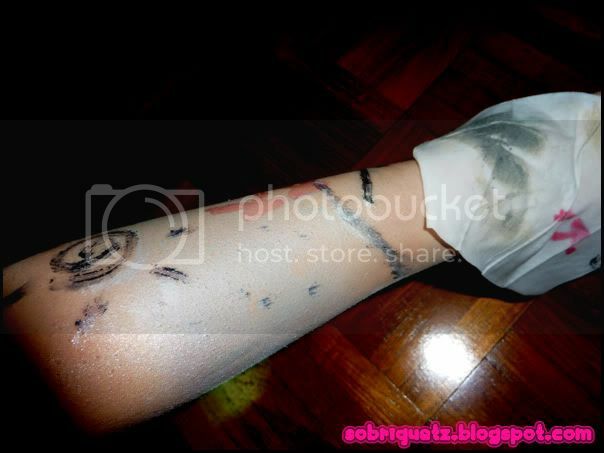 clean arm again! 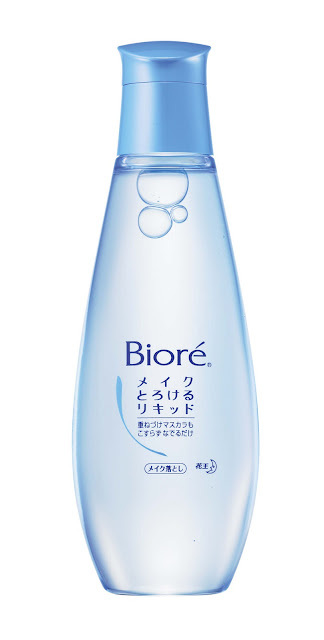 so far, I think Biore's makeup remover is really great! At least I feel that it is better than the Maybelline and Clinelle ones that I have used before. And there are 3 different makeup removers to choose from, so you can choose the one that you really need! Want to sample this product first? 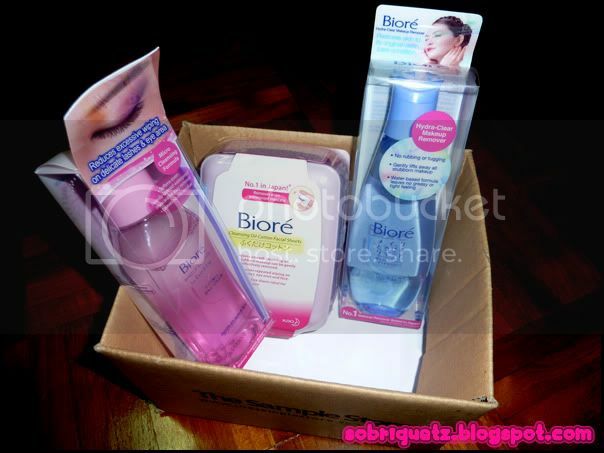 Click on the link below and you will get 1 Travel size of Biore Makeup Remover for Eye & Lip, 1 Travel size of Biore Cleansing Oil Cotton Sheets(2 Pcs) free!